From time to time, industrial process control applications involve very stringent and challenging performance requirements for the valves, process piping, and instruments that are part of the control loop. Control valves are a significant example where the impact of extreme fluid conditions require careful design and selection consideration to assure proper performance and safety levels are maintained in a predictable way. Severe service is a term that describes valves used in application at the extremes of pressure, temperature, cycling, and material compatibility. While there are plenty of published and accepted standards for industrial valves, one does not exist to precisely define a severe service valve. So, what then defines the selection of severe service valves, as opposed to general purpose valves? Highly corrosive, or erosive process media. Certainly, any of these criteria might be found in an application serviceable by a general purpose valve, but their presence should be an indicator that a more involved assessment of the fluid conditions and commensurate valve requirements is needed. The key element for a specifier is to recognize when conditions are apparent that might exceed the capabilities of a general purpose valve, leading to premature failure in control performance or catastrophic failure that produces an unsafe condition. 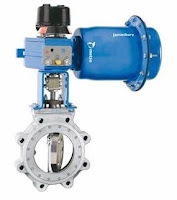 Once the possibility of a severe service condition is identified, a careful analysis of the possible operating conditions will reveal the performance requirements for the valve. When in doubt, its critical to discuss your special requirements with an experienced product application specialist. They have access to technical resources that can help with selecting the right valve components to meet your severe service applications.